I have a new favourite blue!! With us Aussies going into summer it's the perfect vibrant shade to wear on those long days at the beach on the weekend. 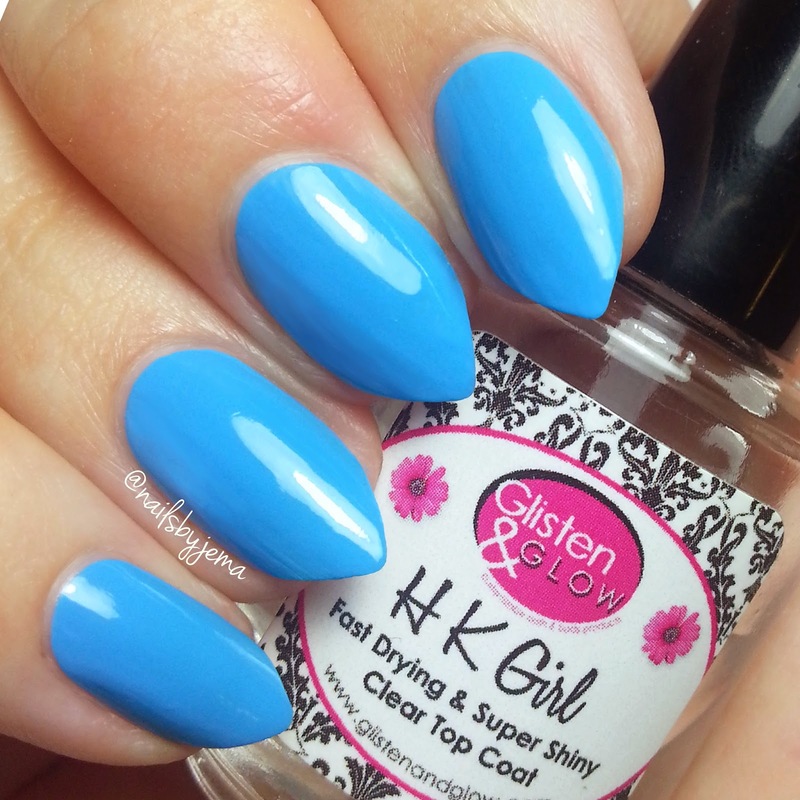 It's just one of the most perfect blue formulas ever. Two coats to perfect opacity and absolutely NO STAINING!! That is like unicorn status for a blue in this shade. Also, I had a corner break yesterday. And then this happened. New nail shape! But don't worry.. it's on my right (aka Cinderella) hand. I got inspired by @madamluck's nail shape, got the file out and just went for it. Wasn't sure at first, but now? In love!! Debating if I should do it on my swatch hand too??? It's such a stronger shape than square and my nails naturally curl quite a lot (I soak them in warm water to uncurl before photos) so it would be nice to be able to remove that step.